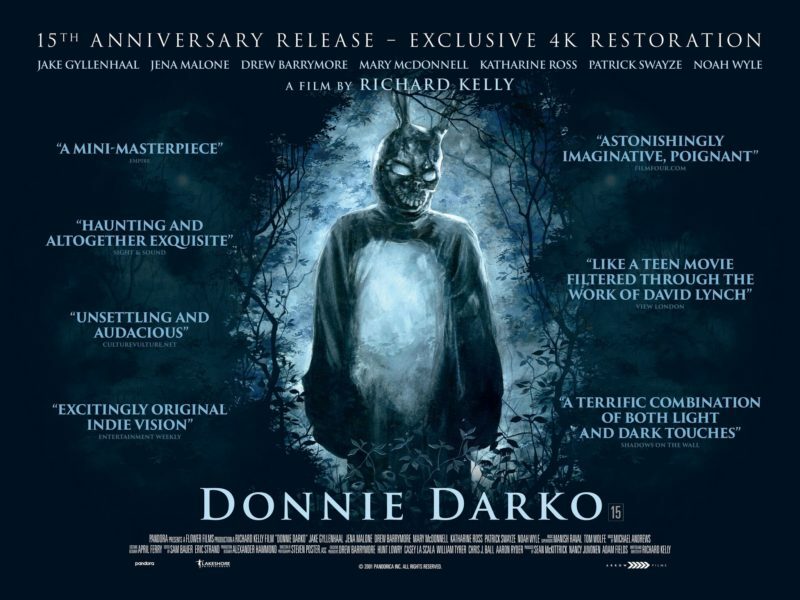 Cult film darling Donnie Darko will once again be released in UK cinemas. To celebrate its 15th anniversary, the film will have a 4k Restoration, screening at BFI from December 16th with a nationwide release from the 23rd. The Director’s Cut which has been newly remastered will also be available for screenings. This entry was posted on Sunday, November 20th, 2016 at 7:45 pm	and is filed under Film, News.